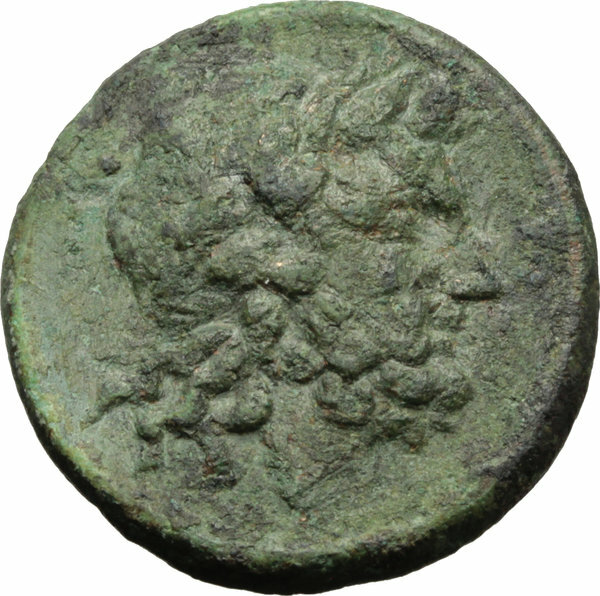 Lot 12: Greek Italy. Eastern Italy, Larinum. 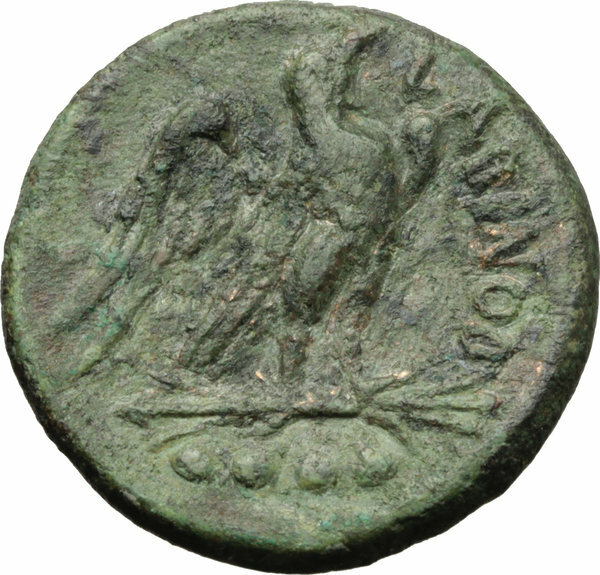 AE Quadrunx, c. 210-175. D/ Laureate head of Jupiter right. R/ Eagle right on thunderbolt, screaming; at right, LADINOD; in exergue, four pellets. HN Italy 626. AE. g. 8.59 Green brown patina. Good VF.